Tracklist: 1. Nightmares On Wax - Back to Nature - Edit 2. Khruangbin - August 10 3. The Elder Statesman, Lord Echo - Trans-Alpine Express 4. Jex Opolis - Human Emotion (Original Mix) 5. Garden City Movement - Santal 6. DJ Day - Chinaski's Theme 7. Jon Kennedy - Twilight 8. Engine-EarZ Experiment, Kate Havnevik - Blue Moon (Kinobe Remix) 9. Elder Island - Welcome State 10. Maricopa - Sun Scope 11. Izo FitzRoy - Skyline (Kraak & Smaak Badlands Remix) 12. Gacha Bakradze - Gather 13. Washed Out - Face Up 14. Blue States - Alight Here 15. 40 Winks - Melancholia (Bonus) 16. Mark Pritchard - Sad Alron 1. Penguin Café - Ricercar 2. José González - Afterglow (With the Brite Lites) 3. BadBadNotGood - In Your Eyes 4. Gwen McCrae - Let's Straighten It Out 5. Danit Cuatro - Vientos (Rey & Kjavik Remix) 6. El Búho, Minuk - Corazon de Rubi 7. Ozo - Anambra (Edited Version) 8. Trentemøller, jennylee - Hands Down (Trentemøller’s Blissed Out Mix) 9. Llorca, Halley Hiatt - Addiction Days 10. Andrea Terrano - Heatwave 11. Matt Dunkley - Cycle 1 12. Aukai - Colorado 13. James - Heather Oizys 14. Moby - This Wild Darkness 15. 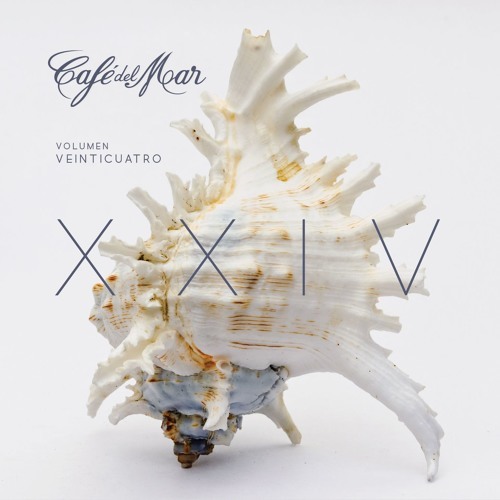 Carl Craig - The Melody (Versus Edit Version) » Website http://www.cafedelmar.com » Facebook http://smarturl.it/cdmfacebook » Twitter https://twitter.com/CafedelMar_Ibz This is the official Soundcloud channel of Café del Mar. Can we get this on Spotify? Song that is 10:01 through the mix? I've ordered my CD set. Looking forward to recieving it. My wife and I buy the set every year and listen to it on our holidays. It's been our tradition for the last 10 years now. This album is soooo great !